StonePly’s Lightweight Stone Panel system combines the beauty of natural granites, marbles, and limestones with a lightweight aluminum honeycomb material to create stunning, unique, and lightweight stone panels for any application. StonePly has several standard textures including the most popular textures, polished, honed and flamed. A polished texture is most typical because it gives granites and marbles a shine and it enhances the stone’s natural beauty. A honed finish is a muted finish that is much like a polish finish but not reflective. Most limestones have a honed finish. A flamed finish causes the crystals to sparkle andis mostly applied to granites. StonePly Stone Panels are not limited to the standard textures. StonePly can create any texture desired by the client. In some cases, however, the stone face may need to be thicker to accommodate for the special texture. We can give the stone face a beaten, rough texture or saw grooves into the face. Whatever your texture needs are, StonePly can help. 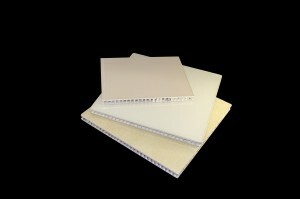 Please see our specialty texture page and our standard texture page.